Visit South America’s largest outdoor market, trek through the jungle as you learn the ways of indigenous tribes, or hit up one of the South America’s hottest surf spots. The country’s slogan “All you need is Ecuador” says it perfectly. 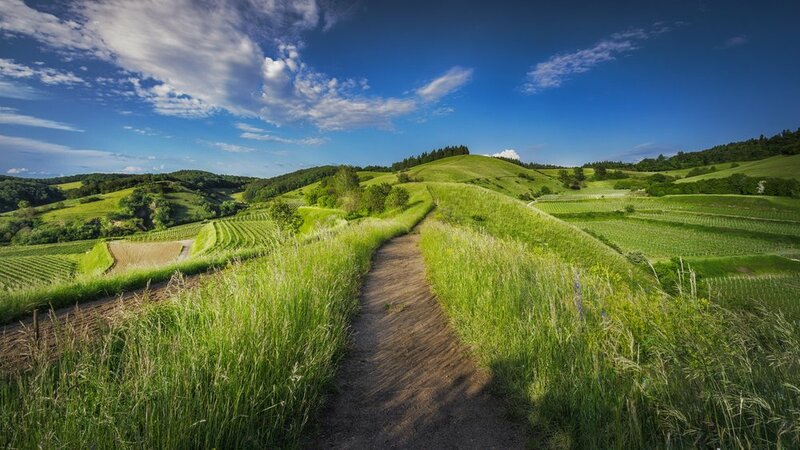 Although a small country - only about the size of Colorado - it’s diverse landscapes and rich culture provide an ideal adventure for any kind of traveler. Often overshadowed by its popular neighbors, Peru and Colombia, Ecuador boasts many similar, and some even more impressive, scenes, including Inca ruins, lush forests, bustling cities, and gorgeous beaches - all in one place - while still offering an experience all its own. 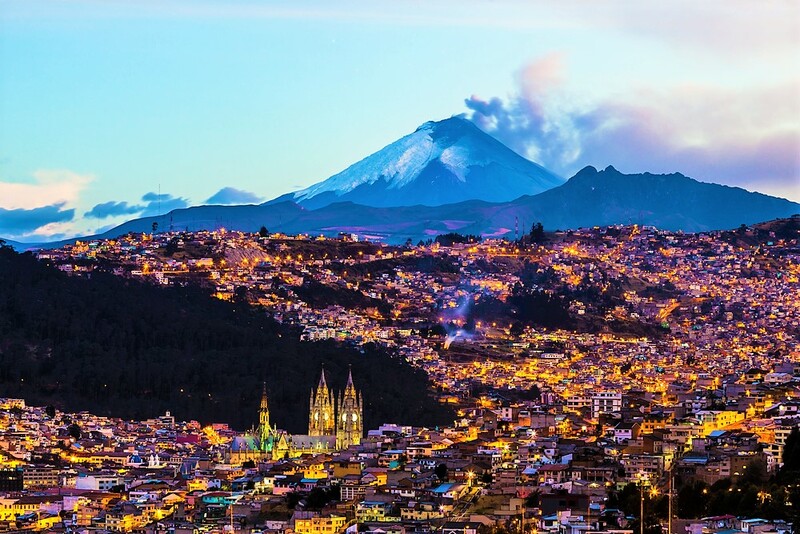 Luckily, Ecuador is just beginning to emerge as a top destination for travelers, and there are still plenty of places you can visit without seeing a single tourist. While this is great for travelers looking to really immerse themselves in a local experience, this also means that traveling in Ecuador can be a bit tricky. So, if you’re thinking of visiting, but not sure exactly where to start, look no further! We’ve compiled a complete guide on how to spend two weeks in Ecuador, including all of the country’s “must-sees”, as well as its lesser known gems. 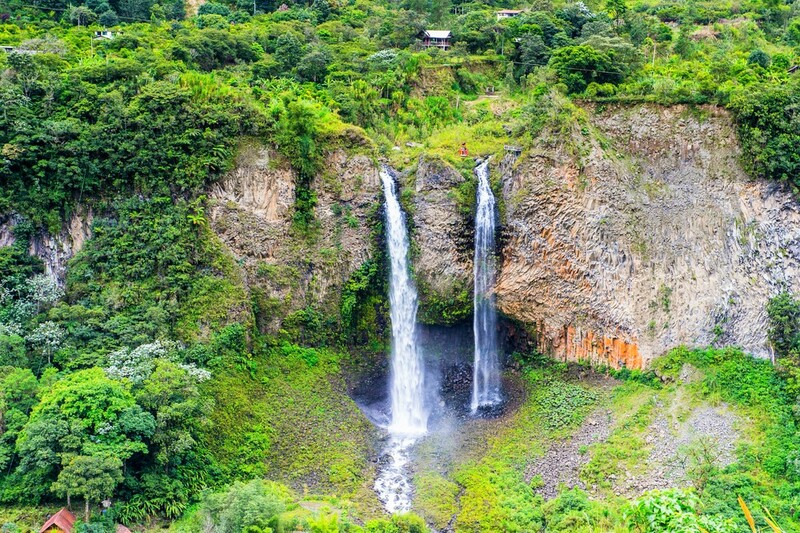 Ecuador is made up of three principal regions: the highlands, the jungle, and the coast. Traveling between these regions is cheap and easy, thanks to the country’s extensive network of buses. 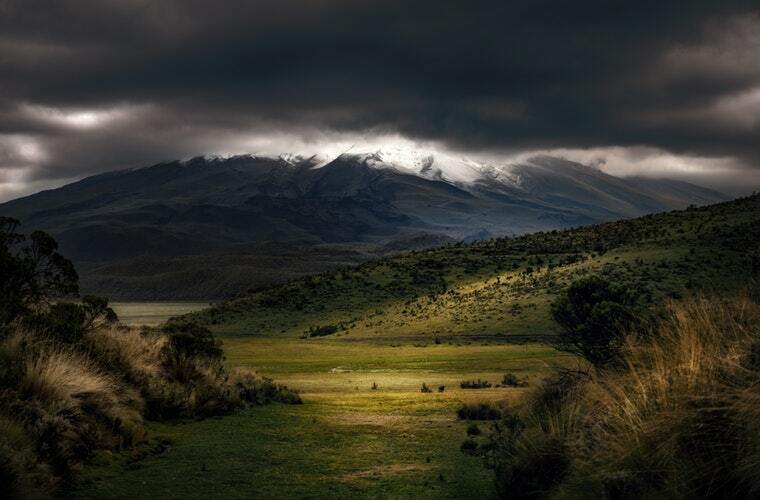 That being said, be prepared for some long, and even overnight, journeys due to Ecuador’s vast, mountainous terrain. 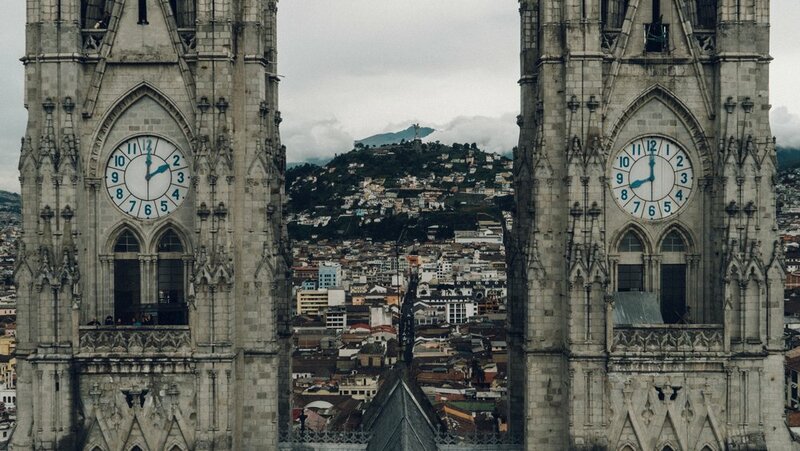 Most international flights will fly in to Quito, the country’s capital and cultural hub, so this is a perfect place to kick off your two weeks of exploring. Perched at a mighty 2,850 meters above sea level, it’s a good idea to take your time getting adapted to the altitude here. Take in the stunning highland views and wander through the cobblestoned historical center, which is one of the best preserved in all of Latin America. As the sun goes down, enjoy a traditional Quiteño meal in one of the city’s top-notch restaurants and grab a drink in Plaza Foch, the city’s nightlife center filled with bars, live music venues, and nightclubs. If big city life isn’t for you, take a trip to the breathtaking countryside that surrounds Quito to explore nature and the lifestyles of local Quechua people. About a 30-45 minute bus ride from Quito’s southern bus terminal, Quitumbe, you’ll find Cotopaxi National Park’s main entrance. 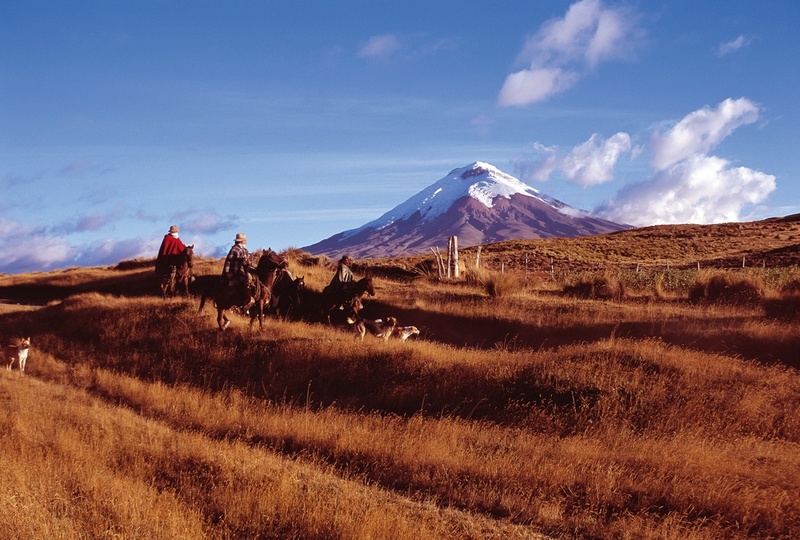 From there, hitch a ride into the park to discover the snow-capped Cotopaxi Volcano. Spend the day hiking through leafy forests and rocky terrain, marveling at crater lakes and fascinating wildlife. Touted as South America’s largest open-air market, a stop in the Andean town of Otavalo should be at the top of your list. Buses to Otavalo depart Quito’s northern bus terminal, Carcelen, frequently and take about 2 hours. 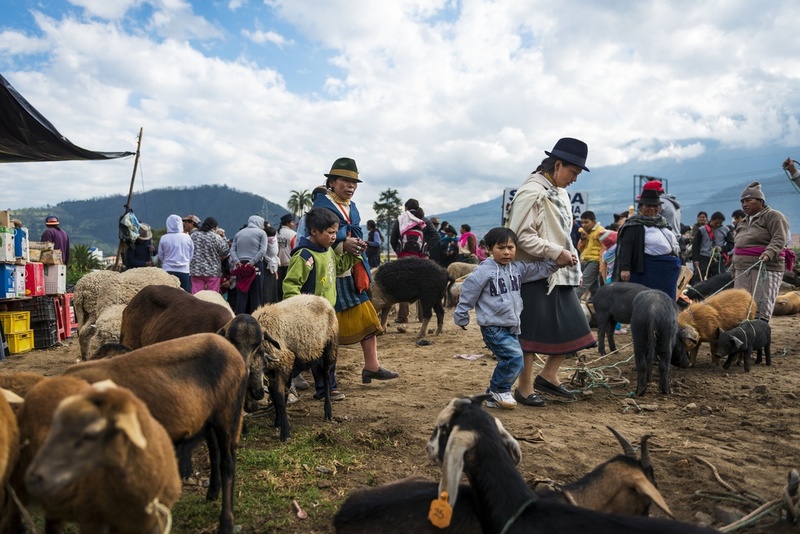 Here you can peruse the village square, filled with stands selling everything from hand woven hammocks and alpaca sweaters to leather goods and exotic produce. To get the complete experience, be sure to visit on a Saturday, when the market is in full swing. Just outside Otavalo, visitors also have the chance to witness a traditional shaman ceremony and visit crater lakes shrouded in ancient tales. After spending some time in the rugged highlands, it’s time to head down into the lush landscapes of Ecuador’s jungle. Only a four hour bus ride from Quito’s Quitumbe bus station, you’ll find the Amazonian town of Tena. 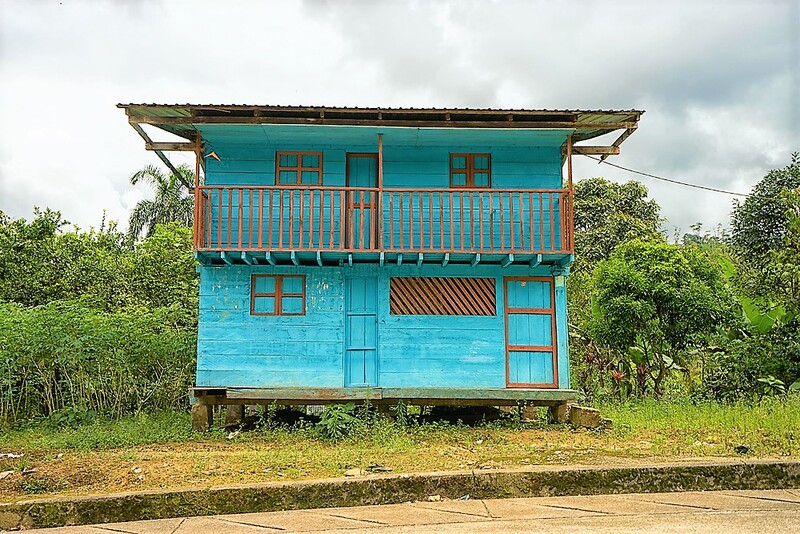 Although Tena is commonly thought of as the jumping off point for travelers looking to venture deeper in to the Amazon, the village itself has a lot to offer. Embark on a white water rafting excursion, go spelunking, make friends with a monkey, and learn about traditional medicine. When you’ve had enough thrills, make your way back into town to sample the tasty regional cuisine, which includes roasted guinea pig (“cuy”) and river crab. 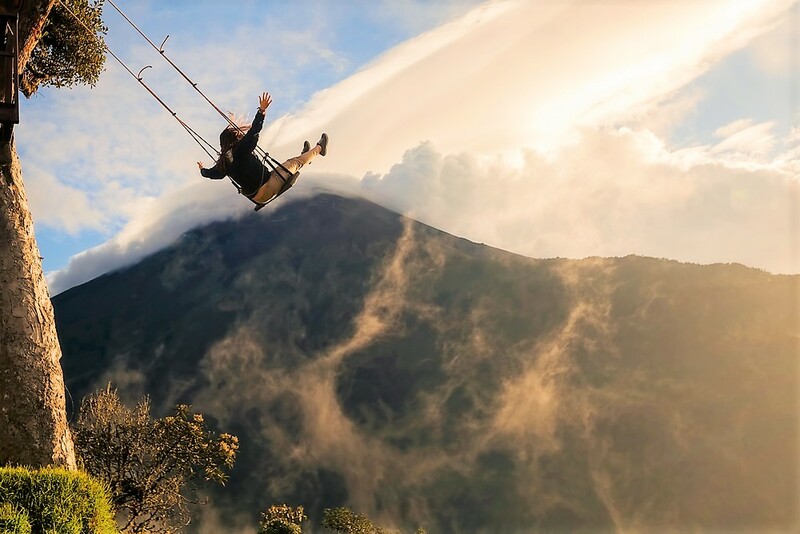 A three hour ride through the stunning jungle and cloud forest backdrops, dotted with trickling waterfalls and canopy vistas, will bring you to the adventure capital of Ecuador: Baños. Tucked between the country's central mountains and dense jungle, there’s no shortage of exhilarating outdoor activities here. Discover natural hot springs, breathtaking trails, and powerful waterfalls as you hike, bike, raft, and canopy through the town’s unparalleled natural surroundings. 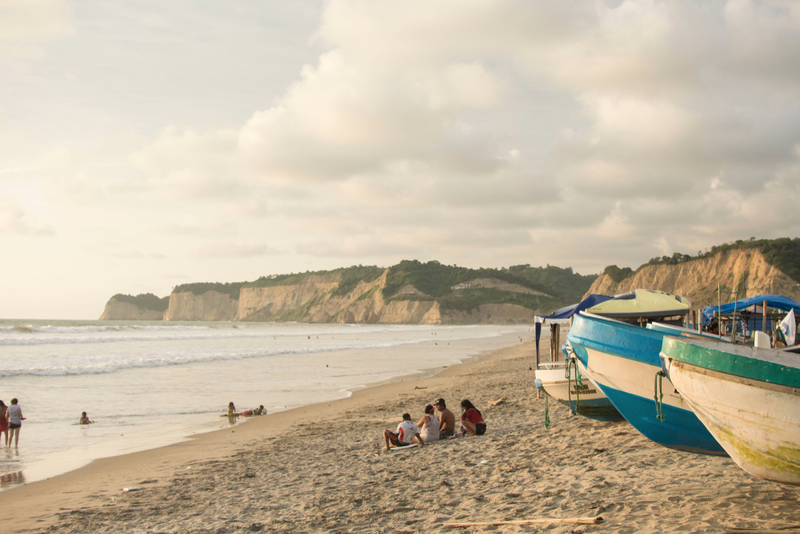 Finally, it’s time to head to Ecuador’s inviting coast. First up, after a long 12-hour, overnight bus ride from Baños, is the world-class surf town of Montañita. 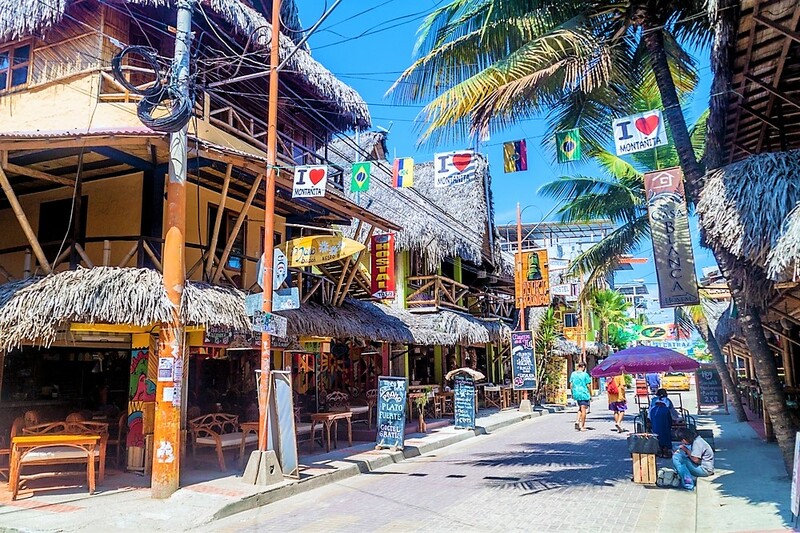 Well worth the lengthy journey, Montañita is known for its hippy vibes, sunrise nightlife, and warm waters. Fill your days surfing perfect waves or soaking up the rays, and your evenings listening to beachy reggae with a drink in hand at one of the town’s many funky bars. If you’re hoping to catch a look at some of Ecuador’s world-famous flora and fauna without leaving the mainland, Isla de la Plata is the place to be. 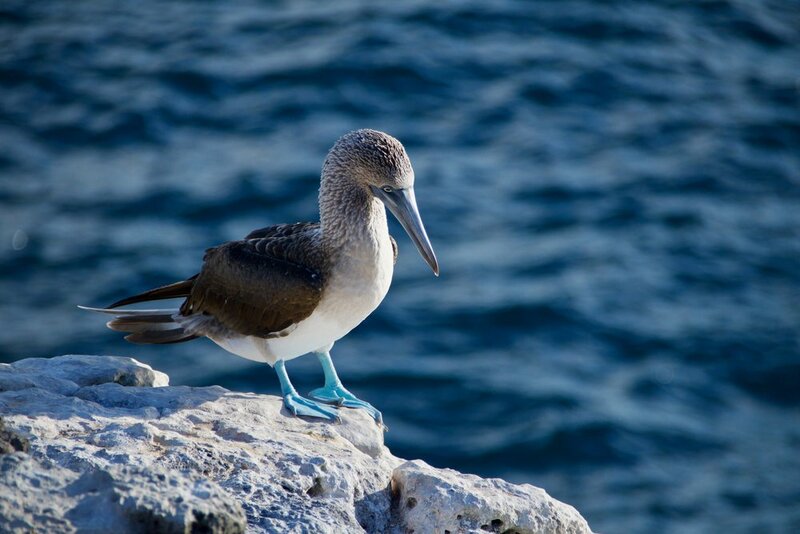 Known as “the poor man’s Galapagos”, a quick boat ride from the little fishing village of Puerto Lopez (just under an hour from Montañita) to the island will reward you with blue-footed boobies, whales, sea lions, tropical fish, and diverse bird species. Just outside of Puerto Lopez is Machalilla, one of Ecuador’s principal national parks, which includes Isla de la Plata as well as “Playa de los Frailes”. 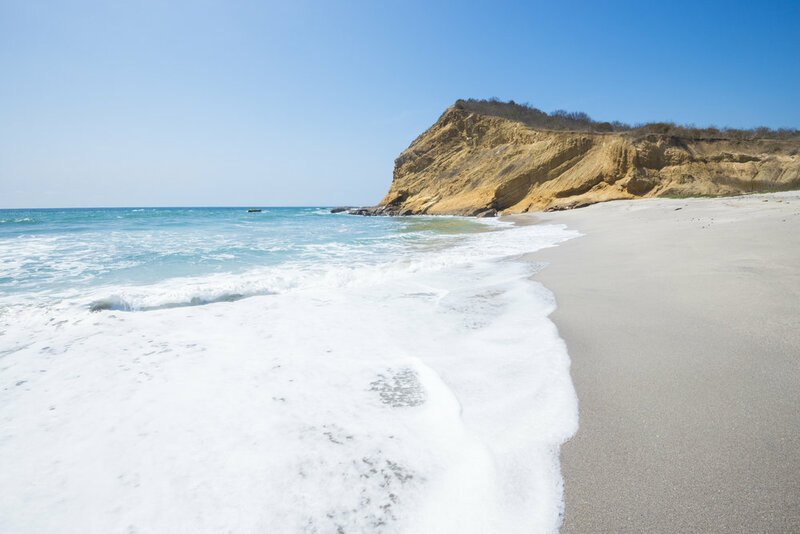 Los Frailes is a secluded virgin beach, famous for sheltering the park’s nesting sea turtles. Spend your day relaxing in the sun, playing in the waves, or exploring the area’s unique tropical dry forest. Because of its remote location, you may even be lucky enough to get the beach all to yourself for a few hours. You may have heard about the coastal city of Manta in recent years as it was seriously affected by Ecuador’s powerful 2016 earthquake. However, this booming seaside town has begun to make a serious comeback thanks to a steady stream of both foreign and national visitors. Traditionally a port city, Manta is known for its world-class tuna-fishing and long stretches of sandy beaches. Local favorites are Murciélago Beach, and the lesser known Tarqui Beach, where fishermen sell their daily catches. Also be sure to visit the “malecón”, a waterfront boardwalk packed with lively bars and seafood restaurants cooking up delicious regional cuisine. If you’re looking for a more low-key beach town to spend your last few days in Ecuador, the dusty paths of nearby Crucita and Canoa should not be missed. 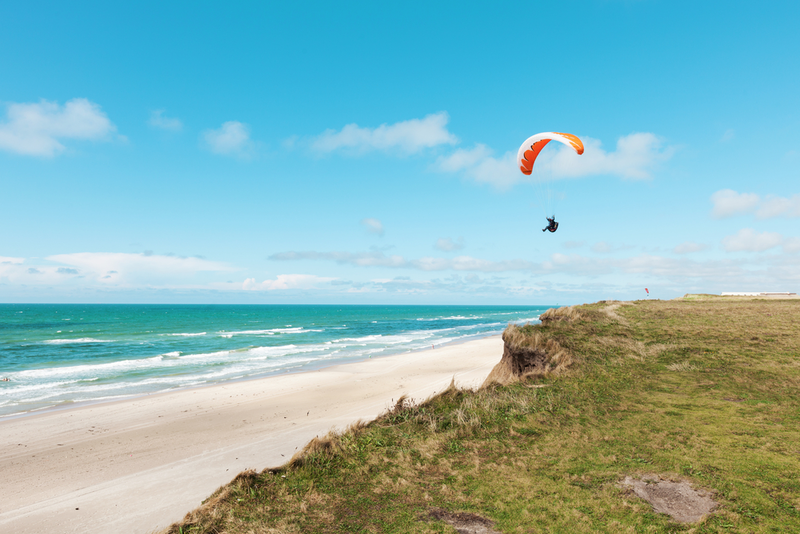 This quiet fishing village is a top spot for paragliding and hang gliding, and boasts some of the coast’s least crowded beaches. Little more than a few blocks in size, Canoa attracts people from all over the world with its cool vibes and undeveloped beauty. 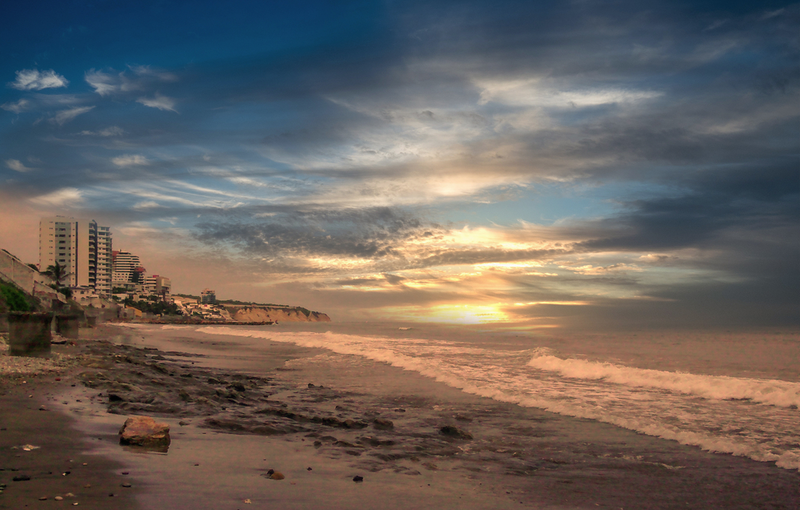 A beach-lovers paradise, here you’ll find 17km of picturesque sands, making it Ecuador’s longest beach. After a jam-packed two-week adventure exploring cultural highlands, untouched jungles, and pristine beaches, it’s time to head back to Quito for your flight home. From Manta, you can either fly out from the local airport, or take the 7 hour bus ride back to Quito.